The readings are divided into three sections, linking the civilization debate to political theory, to the cultural debate and to the sociology and anthropology. The substantial extracts included give students a rare chance to engage at length with classic texts to appreciate the nature of the battle between the Enlightenment and its critics which has shaped current thought. 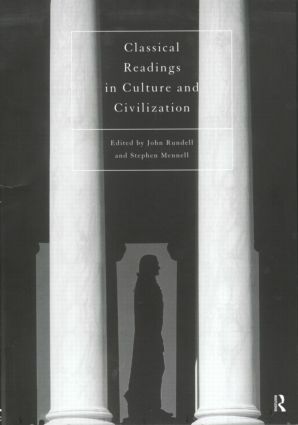 Classical Readings on Culture and Civilisation presents essays from Immanuel Kant, Adam Ferguson, Thomas Jefferson, Alexis de Tocqueville, Friedrich von Schiller, Friedrich Nietzche, Georg Simmel, Thomas Mann, Sigmund Freud, Emile Durkheim, Marcel Mauss, Lucien Febvre, Alfred Weber, Robert E. Park and Norbert Elias.